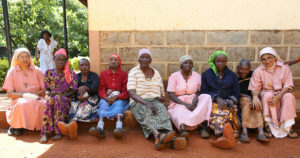 Sisters Roslin Thalakotture, and Rosily Kokandan are two of three sisters from the Society of Nirmala Dasi Sisters running St. Maryís Village for aged and incapacitated women in Sagana, Kenya. (CNS photo/Lilian Muendo, courtesy Global Sisters Report) See GSR-KENYA-ELDERLY June 6, 2018. SAGANA, Kenya — The old women sit quietly along the veranda, trees extending their branches over the houses, and a vegetable garden surrounding them. Nearby, someone is preparing corn and beans for lunch. St. Mary’s Village of Sagana, located 62 miles north of Nairobi, is a home for abandoned elderly and incapacitated women, but it looks like a typical Kenyan rural homestead. Traditionally, extended African families live together in homesteads with houses grouped together, similar to the way St Mary’s is set up. Growing old meant relying on younger family members to take over caregiving duties for the elders in their own home. Father James Chiomio, an Italian Consolata Missionary, founded St. Mary’s in 1974 to serve blind, deaf and elderly women who were abandoned by the community, especially those who had Hansen’s disease, commonly known as leprosy. 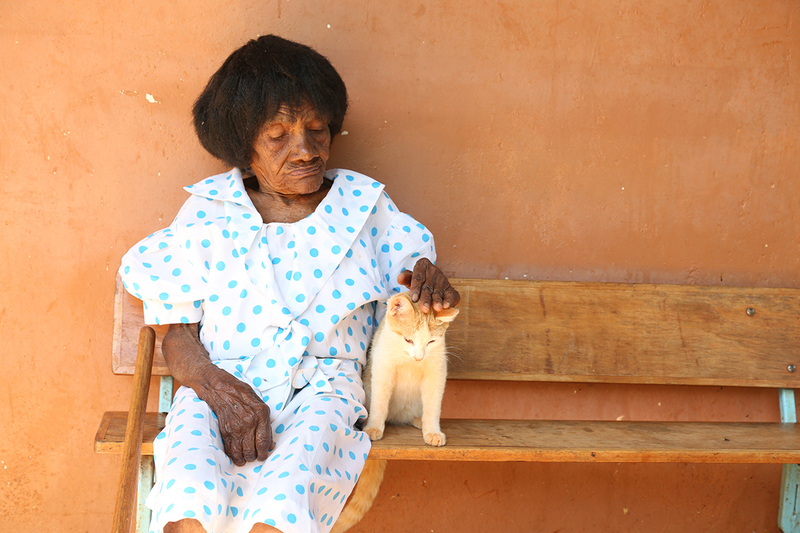 While leprosy has significantly declined, many elderly still are need of care. Nuns from the Society of Nirmala Dasi Sisters in Kerala, India, have managed the home since it opened. At St. Mary’s, Jacinta Njeri, 85, spends her days sleeping on a thin mattress on the veranda of her room. Like many other women at the village, Njeri has no family to take care of her. She has been in the home for more than 20 years. When she can’t sleep anymore, she sits up for a few minutes but cannot walk. From dawn to dusk, she lies here until she is moved back inside her room. Sister Roslin Thalakotture, one of three Nirmala Dasi Sisters running the home said only one man, who claims to be her nephew, visits. Nirmala Dasi Sister Rosily Kokandan is a trained nurse ministering at the village. She is worried about the deteriorating health of the older women because of family neglect and loneliness. Francis Murage brought his mother, who is almost 90 and blind, to St. Mary’s four years ago. He and his wife became unable to care for her after six years because they had to work to support their three young children in a one-room home in Nairobi. Murage said his two sisters, both raising multiple children themselves, are no help. As the only son, he felt responsible for his mother’s care. “I really didn’t want to take her to the elderly people’s home but that was my only option. I fought very much with my sisters about my mother’s care because they didn’t even want to see her. Life is better for her at St. Mary’s than in our house,” Murage said. Sister Thalakotture warned against fully blaming the younger generation for neglecting their parents. She said times have changed and Kenya must embrace the idea of placing the aged in homes where they can be given better care, instead of leaving the burden in the hands of their children. But it’s hard for the older generation to understand why they should spend their sunset years in homes operated by caregivers, Sister Thalakotture said, especially when they remember when traditional culture was intact and the elderly were well cared for by family. Sister Thalakotture said she believes the cultural gap between the young, who were educated in Western-style schools, and the elderly, who are linked to tradition, is widening. She tries to help the residents cope with the transition. Although homes for the elderly are becoming more culturally acceptable, St. Mary’s sets a higher goal, concentrating on taking in the most vulnerable cases. Some of the residents who pass away are buried at St Mary’s. Penina Munini, 65, is not happy with the idea of being buried far from home. She has yet to adapt to a life away from relatives and hopes one day family members will visit. She wants her people to bury her near her parents’ graves in eastern Kenya when she dies. But that doesn’t seem possible for now. She was never married and didn’t have children. She grew up in a large family but, after growing old, there were no relatives left to care for her. She lived alone in a small house in Nairobi before the government destroyed it because it was near a railway line undergoing expansion. She was sedated and taken to St. Mary’s Village two years ago and her biggest fear is to be buried far away from her relatives. “When I die, I want to be close to my parents. I don’t want to be buried here or be put in a sack because no one loved me. It is lonely here and I miss the people I grew up close to. I know the father in charge of this home loves us all, though,” Munini said. 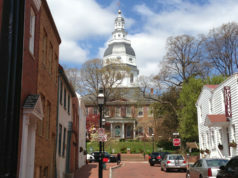 The home can host up to 56 residents. Today there are 37. 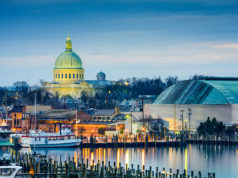 The oldest residents are 90 and 88. Sister Thalakotture said the home’s target for the minimum age is 50 to 55, but they have younger women who are ill and have no one to care for them. The women suffer from dementia, mental retardation, arthritis, high blood pressure, ulcers, epilepsy and diabetes. As African countries undergo rapid modernization and urbanization, demographics also are shifting. Improved health care means people are living longer. According to a United Nations report, the number of persons age 60 or older in Africa is expected to nearly double between 2017 and 2050 and quadruple by the end of the century. Kenya’s total population is expected to increase from 40 million in 2010 to 85 million in 2050. Average life expectancy is projected to increase from 54 years in 2010 to 68 years by 2050. In the past, placing aging parents in nursing homes was seen as a Western practice and made most Africans shudder in horror. But Father Murugara thinks Kenyans must embrace the idea, urging that the nation develop more homes like St. Mary’s Village to care for increasing numbers of elderly. 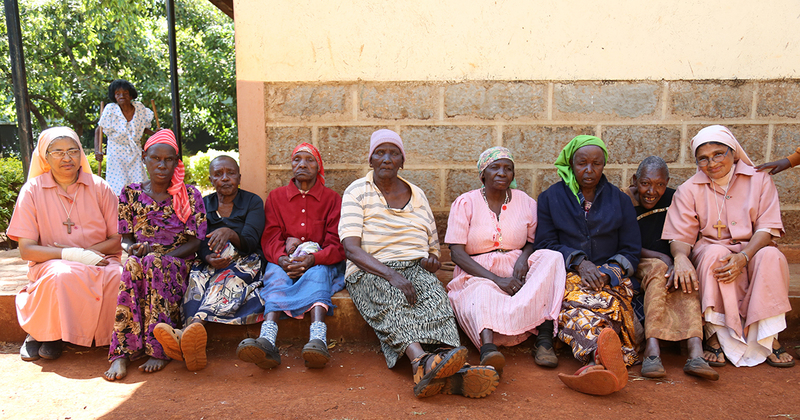 There are few homes for elderly men and women in Kenya, most of them faith or charity based. 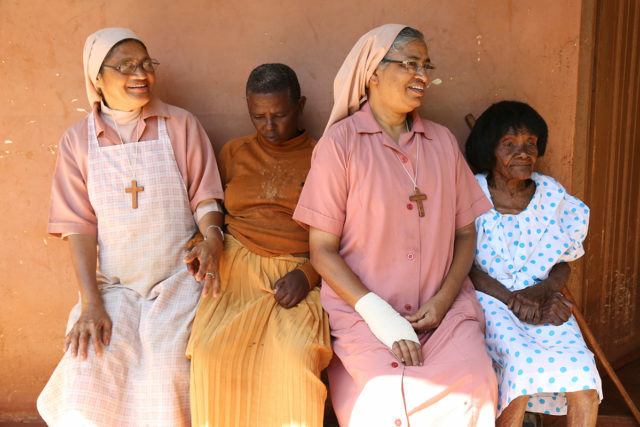 One of the oldest homes is the Nyumba ya Wazee (“home for old people”) in Nairobi, run by the Little Sisters of the Poor since 1985. It is here where Cardinal Maurice Otunga, Kenya’s first cardinal, spent his last days before his death at 80. African culture is changing, too, as more families are planning for only one or two children instead of as many as 10 children in the past. Muendo is a freelance journalist based in Nairobi, Kenya.